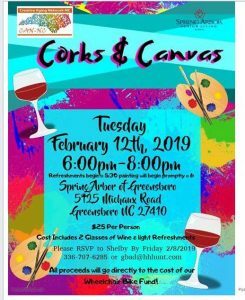 Refreshments begin at 5:30, painting will begin promptly at 6:00. $25 per person and includes 2 glasses of wine and light refreshments. 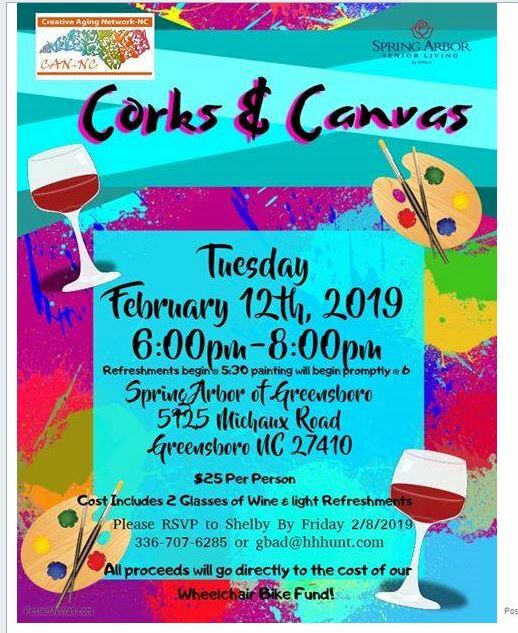 Please RSVP to Shelby by Friday 2/8/19 at 336-707-6285. All proceeds will go directly to the Wheelchair Bike Fund!